"Portal BubbleBee je razvijen od strane ljudi koji su zaposleni ili su bili na praksi u Majkrosoftovom razvojnom centru u Srbiji, a u izradi sadržaja su učestvovali i zaposleni i saradnici Matematičke i Računarske gimnazije, drugih škola, Društva Matematičara Srbije i Istraživačke stanice Petnica." 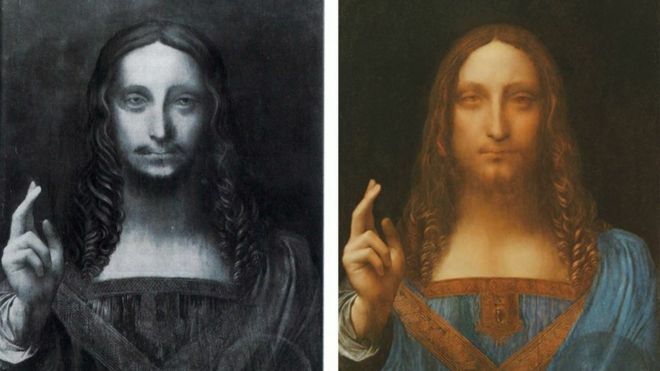 "The painting is known as Salvator Mundi (Saviour of the World). The final bid for the work was $400m, with fees bringing the full price up to $450.3m"
"Diamonds as they are found in the rough state are not impressive. They have none of the magical flashes of light which in the finished stone make them unique among the noble family of gems. It is in polishing that a goodly part of the price of a diamond is acquired; for the art of turning a rough diamond into a glittering brilliant is a long process requiring a superlative degree of skill." Click here to get skilled up on Azure! Click here to access your exclusive training through AI School. TFS team is 600 people, and Windows team is 25K people!